At Pitt, we are committed to helping our most important resources – our faculty and staff. 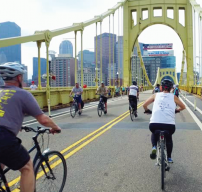 To help balance work achievements and life activities, Pitt offers a variety of programs, services, and resources to help our employees attain a healthy, balanced lifestyle. Pitt offers health and wellness services and programs to faculty, staff, and students to promote more positive, healthier lifestyle choices. Visit the health center on campus for healthcare services and earn healthy rewards with Pitt's wellness incentive plans. Get involved in Wellness for Life at Pitt. Just as you are a part of our Pitt family, we care about your family’s well-being, from a healthy pregnancy to caring for an aging parent. We also have helpful materials for parents-to-be and new parents, and information on time off and leaves. 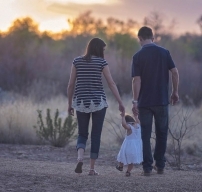 Find available resources for you and your family. At Pitt, we value a work-life balance for all faculty and staff. Engage with the Pitt community at the University Club on campus or enjoy discounts and voluntary benefits with our PittPerks program. Still looking for more? 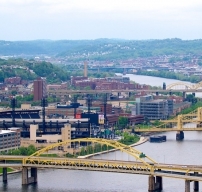 Explore our Visitor's Guide to Pittsburgh for restaurants, museums, tours, family fun, and more! UCDC serves the University community by providing high quality early childhood programs/child care for children ranging in age from six weeks through five years of age. The Center exists to encourage and support each child to grow to his fullest potential in all areas of development, thus creating a positive self concept and a realistic opportunity for success in life. Wellness is the process of making healthier, intuitive choices for a more balanced and purposeful life. Learn how you can make the most of your wellness at work, at home, and everywhere else.